Clipsal Morse key. Made in Australia. 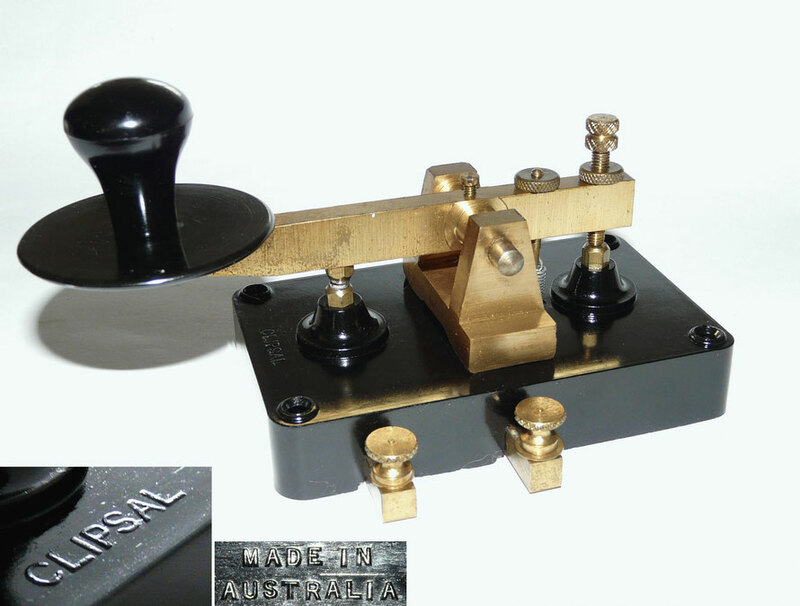 Australia - This brass key has a bakelite knob and a walnut wooden base. The PMG used almost always walnut for their keys. Australia - Key. Telegraph Light Weight (AUST) No 1. TSE(W) 9-2. D↑D. Made by AWA (Amalgamated Wireless Australasia. Date 1956. Used with A510 Radio sets. Made by several factories. This tiny key was used on British and Australian radios. It is completely sealed and waterproof and has non adjustable contacts which require about 283g pressure and have 3mm travel. Wireless Set A510. 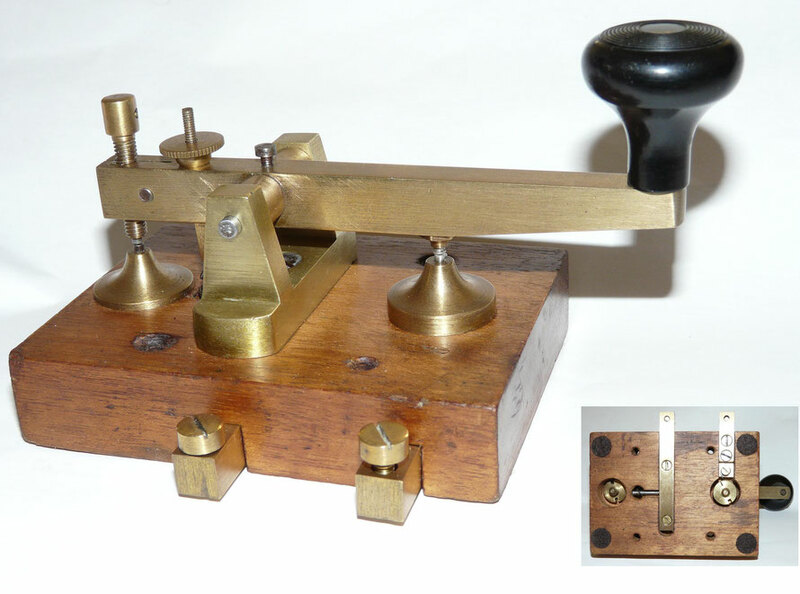 With Morse key Telegraph Light Weight (AUST) No 1.